This is plot 15, Killaghy St, Mullinahone, Co.Tipperary, on the [Griffiths Valuation] map. Charles Kickham set up the Kickham shop on The Square, possibly in [Deed, 1796]. [Deed, 1810], shows him purchasing freehold of his own premises here. James Kickham inherited his father's shop. [Deed, 1843] from the landlord Despard to James Kickham of Mullinahone, shopkeeper, is about the property in the possession of James Kickham, bounded on the S partly by Fethard St, bounded on the E by the road leading to Killenaule (Killaghy St). i.e. 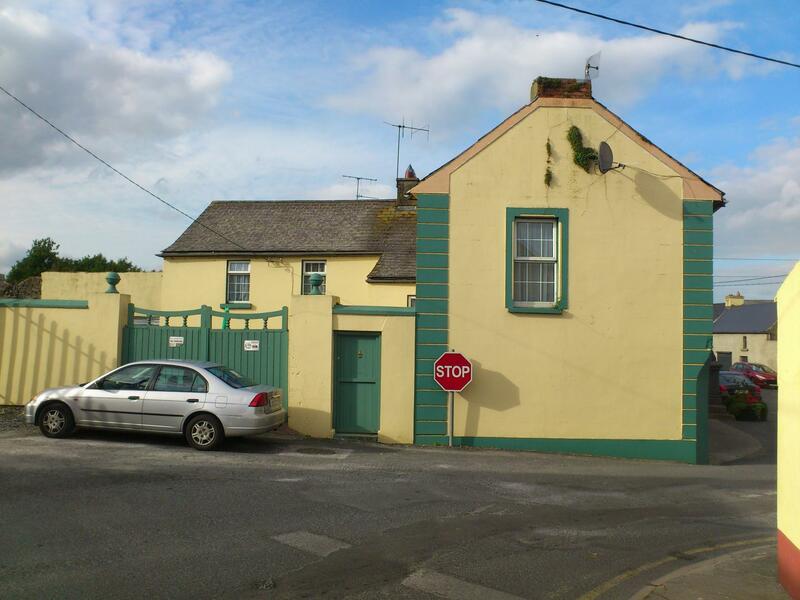 This is plot 15, Killaghy St.
See entry for the house in NIAH. Says the current building dates from c.1840. 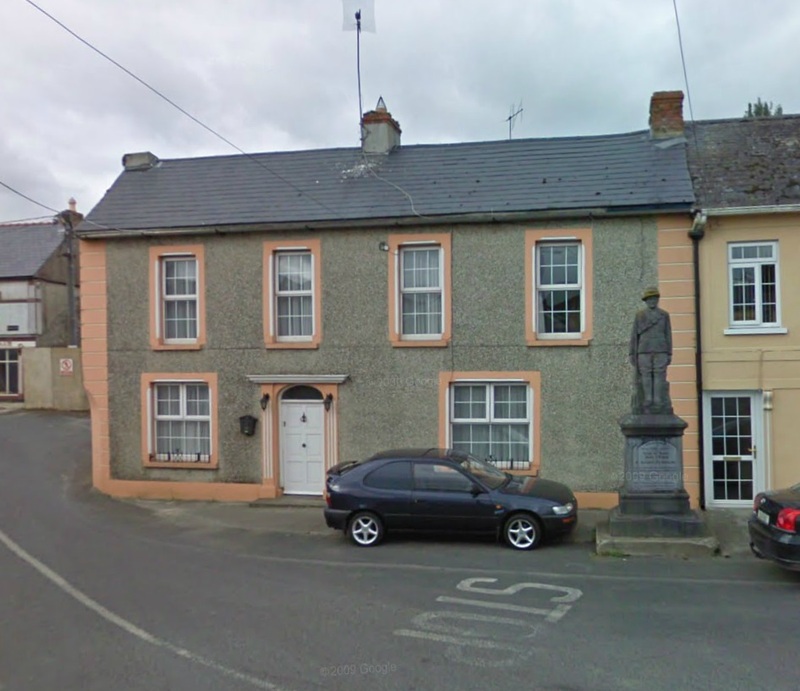 The Kickham shop (grey and green corner house, left of the statue), The Square, Mullinahone. Fethard St to the left in background. Killaghy St to right. Note the John Kickham house on Fethard St in background. Plot 15 on Killaghy St (large property on corner) on [Griffiths Valuation] map. This is the plot occupied by James Kickham, shopkeeper, that is the subject of [Deed, 1843]. 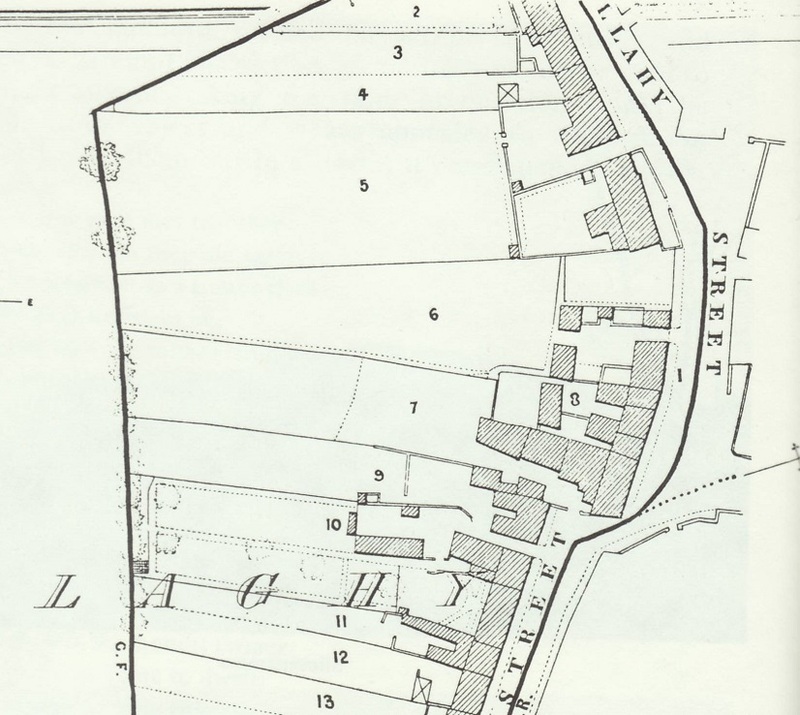 Killaghy St runs to the N, Fethard St to the S.
Note plot 2 on Fethard St which is the John Kickham house. Map showing the Kickham shop on The Square (plot 7). 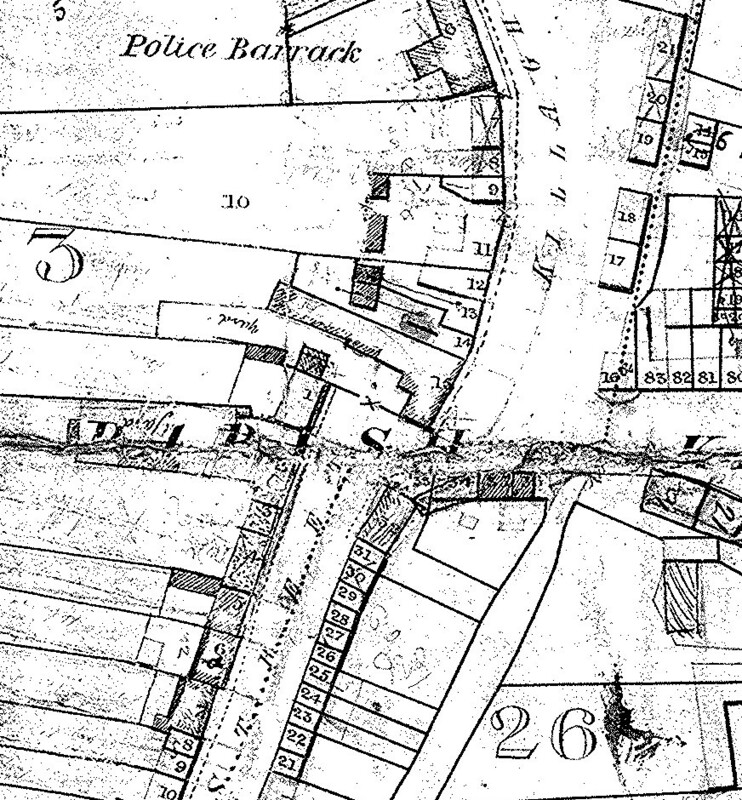 Note plot 10 on Fethard St which is the John Kickham house. The Kickham shop, The Square, Mullinahone. 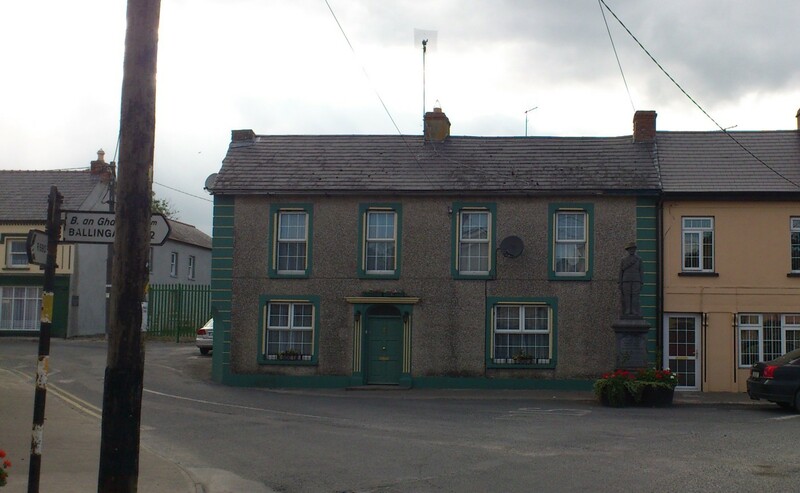 The Kickham shop (grey and green building), The Square, Mullinahone. Side view from Fethard St.